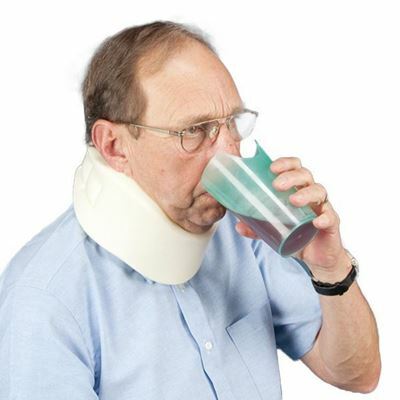 Enables drinking without tilting the head. 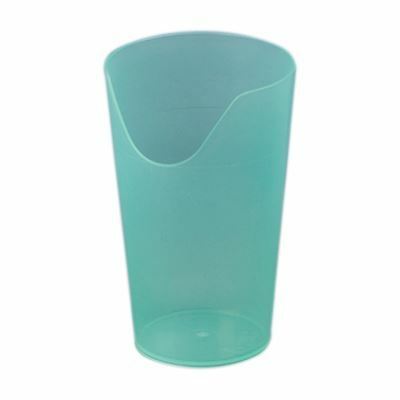 Nose Cut-Out Tumbler is ideal for people who choke easily or cannot tilt their heads back due to neck injuries. The cutout fits comfortably around the nose when drinking. Useful for children who have cerebral palsy. The 2-7/8" (7.3cm) wide opening allows the therapist to observe the liquid going into the client's mouth.